During the electoral campaign, you wrote that these elections were extremely important to understand Turkey’s future political model. Has the outcome given any answers to these questions? I think most of the world's fears regarding these elections were not justified. Erdoğan's Justice and Development Party (AKP) fell short of the two-thirds majority that it needed to change unilaterally the constitution, so all the apprehensions about a turn towards a presidential regime, or even plans of a “Putinisation” of the country, which many critics of the government see as the ultimate goal of Erdoğan, are not very likely to materialise. In many ways, the elections were not interesting. What is interesting is the aftermath, the coming constitutional-reform process. No party has proposed a clear plan for changing the current constitution. I think a broad consensus exists that it has to be changed, or even abandoned in favour of a brand new one, but nobody actually said how to do it. In my opinion, the most urgent questions which have to be addressed concern the definition of citizenship, national identity and official language. These electoral results create a big opportunity to have a more inclusive discussion on constitutional reforms, where AKP also consults other parties and they draft a constitution that really engages with the difficult issues in Turkish political life. Do you think the constitutional process will be the political priority of the new AKP government? Dimitar Bechev is a Senior Policy Fellow and Head of ECFR's office in Sofia. He is also affiliated with South East European Studies at Oxford (SEESOX), St Antony’s College, Oxford. In 2006-2010, Dimitar was a Research Fellow at Oxford's European Studies Centre and held a lectureship in International Relations at Worcester College, Oxford and a visiting professorship at Hitotsubashi University in Tokyo. He is a Region Head for Central and Eastern Europe at Oxford Analytica, a leading consultancy on current political and economic affairs. Yes, because Erdoğan's party talked extensively about it, and it is very hard to step backwards. In addition, even if AKP did not achieve their goal of a “super-majority”, the party still controls a substantial part of the votes. At the same time, the major opposition force, the Republican People's Party (CHP) has also committed to constitutional reforms. For example, CHP has come out in favour of lowering the electoral threshold of 10%, designed at the time to keep radical forces out of the Turkish political system, which represented for a long time a real barrier to democratic participation. Do you think that the necessity to find a compromise between AKP and the opposition will help Turkey's politicians to draft a fair constitution with respect to checks and balances? From this point of view, the election results are very encouraging in many ways: the middle class needs economic predictability, and having a single party in government is good news. Let us not forget that from the 1960s to 2002, the average Turkish government coalition lasted only 14 months. However, if we speak of constitutional changes, then a party that would make systemic changes with just half the votes would not be seen as legitimate. Therefore, in this regard, having a strong majority, but not a “super-majority” is probably the best possible outcome. Nevertheless, that is just a starting point: let us see how the process develops. Which will be the other priorities of the government? I think it is quite clear that the other major priority will be the economy. In this field, Turkey is doing very well, but it does not mean there are no challenges ahead. The AKP must focus on the delicate matter of fears of inflation and overheating of the economy, of excessive capital flows into Turkey, which make the economy vulnerable in case of capital flights. Not by chance, the Turkish central bank has been engaged for several months in designing a strategy to tackle this problem. It is a direct challenge, very similar to the ones faced by other emerging countries such as Brazil, and the AKP has a very strong mandate to tackle it. Therefore, constitutional process and the economy are surely on top of the AKP's agenda. How the party will rank their priorities, which issues come first, we will see in the coming months. Speaking about the economy, do you think that the “crazy projects” presented by Erdoğan are real and sustainable or were just electoral slogans? I do not think the “second Bosphorus” is that feasible, since this issue has been recurring in various elections, and was not invented by Erdoğan. The other promise, that by 2023, Turkey will become the tenth biggest economy in the world, is not that easy to deliver either, because to get there you need an average growth of 7-8% per year, which is very difficult to obtain. However, many modernisation projects such as new infrastructure, nuclear power plants, high-speed trains are being developed. Therefore, we have to be a little sceptical of grandstandings and announcements, but AKP has the resources and the political support to push with big investment projects. Actually in these nine years, the party successfully delivered development and heavy investments not just in infrastructure, but also in housing and healthcare. Some analysts, speak about Turkey becoming a “dominant-party system”, like India and Japan, with a big party dominating the political scene, but still compatible with a democratic order. Would you agree with such a point of view? I think this is a very good point. I recently read a very interesting interview with Ali Caroğlu, a respected political sociologist, who claims that in today's Turkey we can see all the major features of such a system. Erdoğan has now become the longest-serving prime minister, overcoming Adnan Menderes. The AKP has legitimacy, twice the votes of the second political party, and the internal cohesion, so there is a strong chance that a “dominant party system” will materialise. The real question is what does this mean for the Turkish political system, especially in terms of democratic performance. Certainly there's a strong need of checks and balances on the AKP, especially in the day-to-day policy making, not just from opposition parties, but also from the press, the judicial system and the entire civil society. I think we must be a little bit cautious in assessing where Turkey's democracy is heading. The coming years, however, will show many trends. 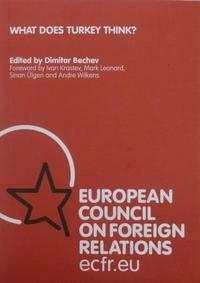 Dimitar Bechev edited ECFR’s report “What does Turkey think?”, a collection of nine essays by Turkish experts and political figures from different backgrounds – Islamists, secularists, Kurds and liberals. The essays examine how questions of identity, democratisation and Ankara’s evolving foreign policy are seen from within the new Turkey. The authors of “What does Turkey think?” are Dimitar Bechev, Mustafa Akyol, Ayşe Kadıoğlu, Orhan Miroğlu, Şahin Alpay, Hakan Altinay, Osman Baydemir, Ibrahim Kalın, Atila Eralp, Zerrin Torun, Suat Kınıklıoğlu, Soli Özel and Ivan Krastev. Three key areas interest are discussed in the report: Can the new Turkey deal with its internal diversity? 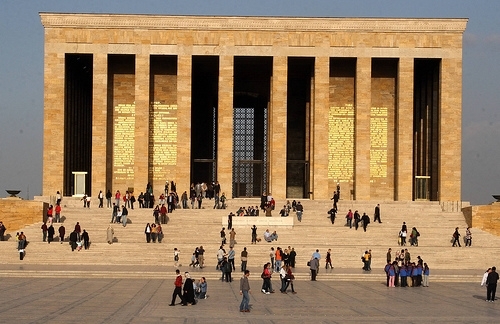 Is Turkey moving in the direction of consolidating democratic achievements? Why is Turkey acting independently of the West? After the elections, the old CHP leadership, led by Deniz Baykal, is trying to come back and challenge the new one, led by Kemal Kılıçdaroğlu. Do you think the party is ready to become a modern and credible alternative to the AKP? It's very difficult to tell, because you have both tendencies: on the one hand, Kılıçdaroğlu changed the rhetoric of the party by opening to the Kurds. For example, the head of the Diyarbakır human-rights association Sezgin Tanrıkulu, a prominent human-rights lawyer, is now with the CHP. On the other hand, you have several suspected Ergenekon supporters on the party lists. Some constituencies of the CHP, then, support the party because of the Kemalist legacy, and not because of its new social-democratic orientation. It is still to be seen if CHP's turn is real, but it is really essential for Turkey to have a credible opposition. Now, there is a real chance for change, and I believe that the constitutional reform process will also be a real test case for the opposition. Just after the elections, the Turkish ambassador to the EU, Selim Kuneralp, said in an interview that “EU has lost its leverage on Turkey when it comes to reforms.” Is this position linked with the electoral outcome? I do not think the elections changed anything: the loss of leverage was already evident during the constitutional referendum last September, when the EU was not a reference point. The EU membership promise is not credible anymore and negotiations are not going anywhere: therefore, the EU is largely absent from the Turkish political agenda. Anyhow, the EU still has strong potential leverage, because now both the AKP and the CHP have pro-EU rhetoric. Therefore, if the EU re-engages, it could trigger a different dynamic, but this is pretty speculative. At the moment, anyhow, I don't think AKP is betting on EU membership: they'll probably not abandon negotiations, as hoped for by some in France or in other EU member states. So, this facade of negotiations is likely to continue for a long time, but without any substance. The only real item on the agenda is the visa-liberalisation issue. The former prime minister of Italy, Giuliano Amato, is currently working with Gerald Knaus (the founding chairman of the European Stability Initiative -ESI) on a report about this question. Unfortunately, it will not be easy to make steps forward in this field, since immigration is now a highly divisive issue in EU politics. Therefore, I am slightly sceptical about a possible breakthrough. With the full membership losing credibility, is there any “Plan B” to manage the EU-Turkey bilateral relationship? There is a lot of rhetoric about a “Plan B”, especially among the European centre-right parties, which speak about a “privileged partnership” instead of full-membership. The problem is that Turkey already has, in many ways, a privileged partnership with the EU. Some call for a “parallel track” together, for example, with negotiations on foreign-policy coordination especially in places like Bosnia-Herzegovina, but also in the Middle East. People who advocate this “parallel track”, however, typically do not suggest this is an alternative, but mainly a different process, which may return trust in the bilateral dialogue and re-energise the negotiation process. I am still waiting for some concrete proposals, for example, by the German Christian-Democrats, about what “privileged partnership” really means, but right now this is just an empty phrase. Nevertheless, if the AKP lost interest in the prospect of EU membership, are there social or political forces still committed to this perspective? First, even if the AKP acts as a united actor, there could be different tendencies inside the party. Erdoğan may have used the issue as a weapon to fight the military, and may not think it is necessary anymore. However, other people like President Abdullah Gül are probably more genuinely committed to Turkey's EU membership. Other constituencies are also in the game. The Kurds are not abandoning the EU: they need it to solve their issue and promote minority rights and regional economic development. The Turkish business sector also still wants Europe: even if the rhetoric is “we don't need the EU anymore, because now it's the EU that needs us,” on the ground, the reality is much more complex. The Turkish seculars increasingly look at the EU as an ally. For a long time, the paradox was that the most European-looking people in Turkey were actually anti-European. Now that they feel like a threatened minority in the country, this attitude will probably change. I think this is the main reason behind the recent pro-European turn of the CHP. The BDP announced it will boycott tomorrow's opening session of the parliament. Do you think this poses a serious threat to the success of the announced constitutional reform process? BDP might boycott and the atmosphere is pretty tense now (Hatip Dicle's being stripped of his MP status, Kurds marching in Istanbul and gassed by the police) but in the long term the party has an interest in being part of the constitutional process and the reshaping of Turkey. If the party chooses to stay out and the situation escalates further, a window of opportunity might be lost. Without the BDP and the nationalist Kurds it is difficult to strike a constitutional bargain which is legitimate across Turkish society.